While taking my breakfast I would sit on my favorite spot, in front of the television and watch news. 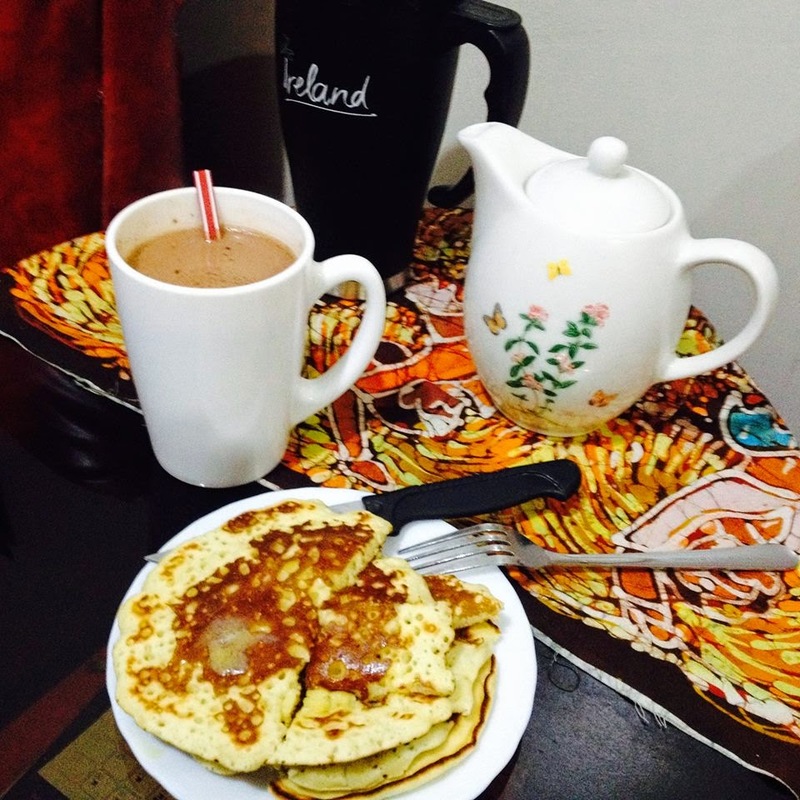 Yesterday, I paired dark hot chocolate with two pieces of pancakes. Day off , Monday and Tuesday. I have been busy working at home, laundry, cleaning, cooking breakfast, etc. Right, day off are days when I cook breakfast. During working days, my shift ends almost at lunch time.